Have you ever thought about speaking with an animal communicator? Lots of pawrents work with intuitive animal communicators to help cope with everything from amputation recovery to life after death. 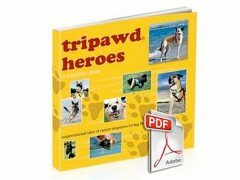 Stacy Krafczyk from AllSpiritHealing.com is one of our favorite animal communicators, and through the years she’s been our special guest on various Tripawd Talk Radio episodes. She’ll be our special guest again later this year, but meanwhile you can get to know what an animal communicator can do for your health and heart by tuning in to this oldie-but-goodie episode featuring Stacy. You can play the podcast below, or hit the share link to download for listening offline. The importance of explaining what’s going on with your animal. How to keep communicating with all animals of your pack after one has surgery. 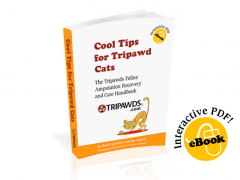 The benefit of preparing new Tripawds for recovery, vet visits, and the use of helpful gear. The importance of watching our own behavior, as pack leaders we set examples. Helping our loved ones move on peacefully when the time comes to let go.